Improve your customer service at the point of sale by adopting customer facing displays. It’s become commonplace in many restaurants and retail stores to have customer displays listing order items as they are rung in. As each item is entered into the point of sale, that same item is listed on the employee monitor and the customer display. They improve order accuracy. Everyone makes mistakes, including your staff. Customer displays let your customers check their orders as they are rung-in, and point out any errors to your cashier. Plus, they improve customer satisfaction, and reduce miscommunications. Order transparency improves your customers’ trust. They deter theft. Since customers can see how much each item costs, and how much change they are owed, your staff have less of an opportunity to fiddle with the cash. Employees can no longer inadvertently, or intentionally, overcharge. They increase sales. Use the screen space to its fullest potential by highlighting specials and promotions. Use the customer displays as a part of your upselling strategy by showing images of your sides and add-ons. When faced with a mouthwatering image of breadsticks, wouldn’t you be tempted to order them? They extend your brand. Showcase your pizzeria’s brand right at the cash with your logo, your colours, and your imagery. 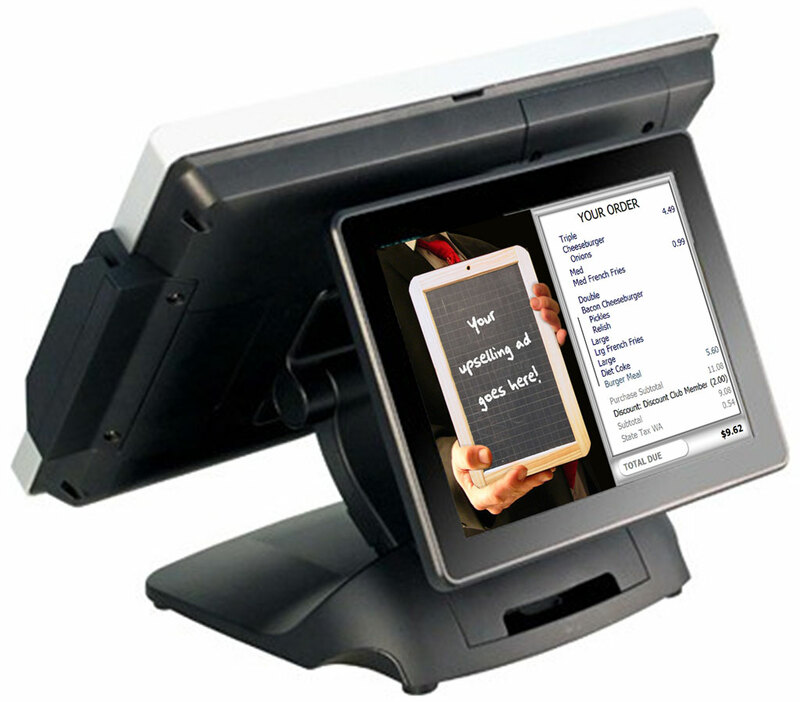 Customer displays are easily added to most point of sale systems. In SpeedLine, the display can be controlled from Store Manager, making it easy to integrate as part of your technology and marketing strategy. As the Marketing Specialist for SpeedLine Solutions Inc., Elizabeth is the Managing Editor for On Point: The Restaurant Technology Blog. Have an idea for an article? Send her a message!